I’m guessing you’re here because you want some amazing photos….If so, then you have definitely come to the right place. I pride myself on being fun, jovial and relaxed. I’m not going to boss you or your guests around, snap my fingers or make you feel in any way uncomfortable. My style is photojournalistic for a reason and that is how I get the best results, by staying out of the way and capturing the day like it happened. I’ll creatively capture all the moments and details in-between and make sure your wedding photos are as amazing as you ever dreamed. You could almost say, I’m like a big stealth bomber, creating visions of awesomeness!! If you want photos to die for, a stress free wedding day with lots of laughs, than look no further!! Who will be the actual photographer on the day? Jordan Kowalski is the man behind the camera. 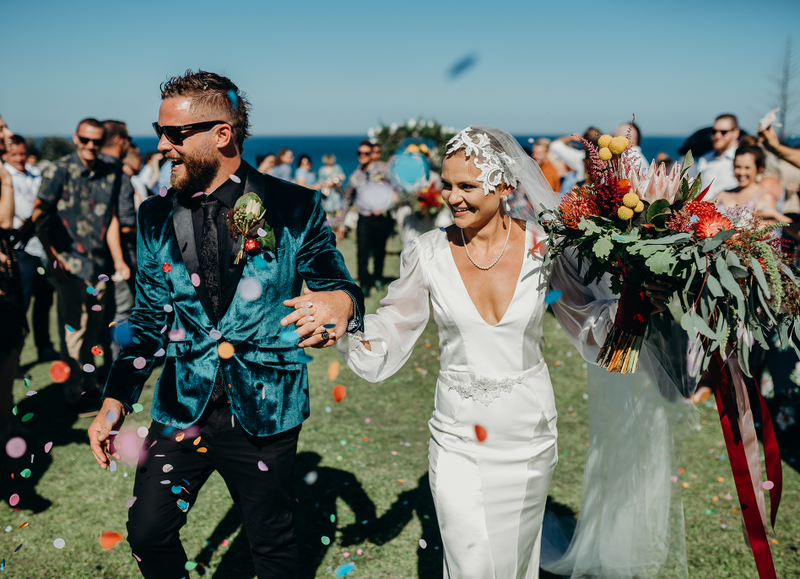 Redmoose Photography is based in Maitland NSW, however, we love to shoot weddings all throughout Australia and even overseas. Can we meet you to discuss our wedding? Absolutely! I always like to meet with my couples to discuss your wedding prior to the big day. I conduct meetings here in the Hunter usually at a location of your choice during the week, usually in the evening. If you are unable to visit than I can connect via the telephone or chat on Skype. To secure your wedding date, we require a 20% non-refundable deposit and a signed contract. Unfortunately we can’t hold any dates without those two things. How long does it take until we receive our photos? Usually within 6 – 8 weeks after your wedding. How many images will I receive from my Wedding? It all depends on the length of your wedding, and what package you choose. I usually estimate between 500-800 high resolution JPG images for a full day of coverage, often it is a little more. How much time should we set aside on the day for our wedding portraits? 60-90 minutes is usually a good amount of time, just remember to factor in travel time. Do you edit all of the images? Absolutely, I feel it is very important for my clients to get the best images possible from their wedding day and that means editing and minor colour balancing every single image. Yes we offer fine art wedding albums. Once you pick the style of album you want we will pre-design it for you with a range of favourite images. Once the album has been designed and approved by you, the album will take approximately six weeks to be made. How are our images delivered? All images are delivered via USB and online in a personalised photo gallery. Images are delivered to the highest resolution possible and can be downloaded to your personal device at the touch of a button. I have found this is the most reliable and quickest way to deliver images to clients. Do you only take photos in the Newcastle/Hunter Valley area or do you travel? I take photos anywhere and everywhere. Depending on the location of your wedding an additional travel fee may be required.